Discussion in 'Videos, Images, Flash Dump' started by TheWiktor, Dec 22, 2013. Inspired by the success of 'The Adventures of Gordon Freeman: In Color!' I've decided to continue my artistic career - this time I'm working on a Flash game. It's even got cosmetic upgrades and a nuke. Call of Duty: Free to Play. I no longer require HL3. Where do I know that music from? I don't know, but the music is Kevin MacLeod's 'Five Armies' slightly edited by me to sound darker. Are there actually any unlockables after you reached 5000 points? I know a fair bit of AS3. Cool. This game was made in ActionScript 2 though. Ah, figured it out. It's also used in Probably Archery. Because I only have Macromedia Flash 8, which is quite ancient. Sorry. EDIT: Oh, and by the way... I changed the link in the 1st post because it was the wrong one. Does the ICBM upgrade even work (because I fixed some stuff recently)? You can get Flash CC for only $20 a month! It's pretty affordable considering CS6 was about $600. So with CC you're only paying that much after 2.5 years, except the product is constantly receiving upgrades, and you don't have to shell out another huge sum for the next version. But I'm not even ever going to do anything important with it... I usually use Flash to make short animations, GIFs or stupid games like this. I don't need a new, expensive version. No but really, AS2 is actually a mess compared to AS3 from what I've read. You should try to find a copy of CS3 or something so you can use AS3. Finding a trustworthy source to buy it might be tricky though. But it should be dirt cheap by now. I may. In the future. When I'll actually have a source of income. 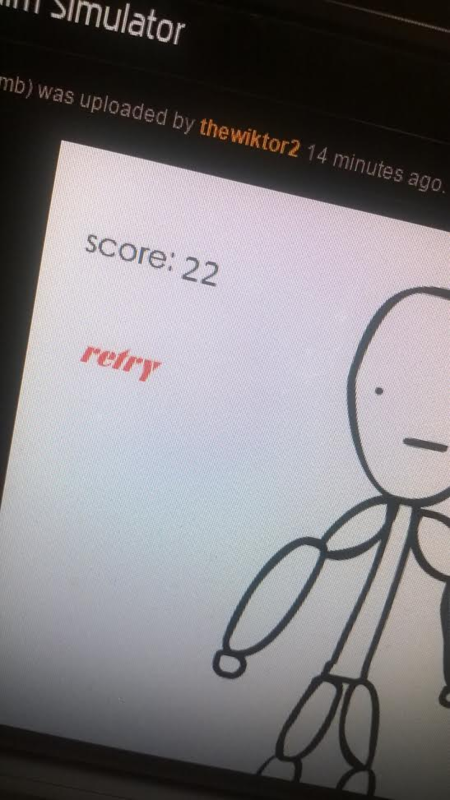 Can anyone beat 22? My high score. That's insanely cheap compared to the original price. Because flash is a dying tech. Or because it's a student discount on an 8 year old product. You know that Flash Player isn't the same thing as Flash, right? Yes, but people are dropping flash for its alternatives left and right. Apparently it's still popular enough for Adobe to justify updating it. The features it's receiving are directly related to staying relevant in the industry, with game development features and HTML5 export. And then there's all the apps deployed with AIR... Even some desktop apps such as the very popular YNAB, and some of the desktop software for Amazon services.